While Thunder Dragon has mutated into a board-building monstrosity, Sky Striker’s innate weakness to Thunder Dragon Colossus isn’t nearly as devastating as it was three weeks ago. Pilots have adapted, builds have improved, and Sky Striker now stands a considerable chance against the deck designed to dethrone it. Sky Striker occupies the top position in Tier 1. Its four or five flexible slots have imbued it with the tools to consistently walk away with Salamangreat matches. A wealth of sideboard tools and an increase in pilot skill have more than made up for its middling Thunder Dragon matchup. It’s not in a league of its own, but it’s definitely more consistent, more robust, and more resilient than its other Tier 1 peers. 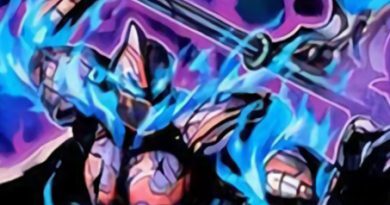 What’s more, the high floor for decks like Thunder Dragon, Salamangreat, and Orcust Knightmare has done its best to act as a ceiling for high-level play. This ensures rogue decks designed to exploit Striker’s weakness don’t see the strategy often enough to dethrone the super-threatening schoolgirl. This is Paulo Prrj Gonçalve’s 1st place YCS Atlanta build. It is also his 1st place UDS Medellin build, and his 1st place YCS Guatemala build, as well, though some changes were made between the main and side deck during that time. This video does a fantastic job of breaking down card choices as well as allowing Paulo Prrj Gonçalve the opportunity to explain his own deckbuilding philosophy. In general, this list represents the most common starting point for building Sky Striker.The two Mystical Space Typhoon are the exclusive oddity, though its utility as a spell extender, an answer to Anti-Spell Fragrance, and a relevant card in every matchup warrants its inclusion. The remainder of the cards are designed to facilitate consistent openings, ensure your effects resolve, and answer meta threats. This is Tyler Pfeifer’s 1st place UDS Las Vegas build. Tyler’s build includes Sky Striker Maneuver – Jamming Wave, whose inclusion has been a sticking point in recent lists. His side deck is also considerably different than Paulo’s, and includes a few floodgates like Summon Limit designed to improve its ability to beat board-builders. Sky Striker has begun circling the drain in terms of optimal builds. Since the metagame is almost uniquely comprised of three decks, building with respect to the mirror, Salamangreat, and Thunder Dragon is of the utmost importance. Most lists are now playing all three copies of Sky Striker Mecha Modules – Multirole, eschewing spicy techs for consistency. 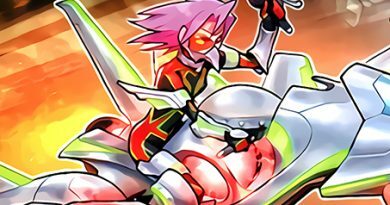 This card is also a top priority against Salamangreat, who can otherwise interact with your Sky Striker Mobilize – Engage!s. Deckbuilders have also largely settled on two copies of Sky Striker Mecha – Eagle Booster, as it ensures Sky Striker Ace – Kagari will resolve in the face of interaction. This play is so critical for the deck that it’s worth the potential brick. As mentioned above, some builds (most notably Paulo Prrj Gonçalves’) have dropped Sky Striker Maneuver – Jamming Waves! altogether. The reasoning behind this change is that cards like Mystical Space Typhoon do a better job of beating Jamming Waves’ target of choice – Salamangreat Roar. Unconditional spell and trap destruction has other applications as well, like sniping off opponent’s Sky Striker Mecha Modules – Multiroles or hosing pesky floodgates. The Sky Striker mirror is exceptionally difficult. It’s endlessly skill-testing, extremely easy to screw up, and demands a wealth of in-depth knowledge of what you’re supposed to be doing and when. While choke points are numerous, mostly, you’re going to have to try your hardest to prevent Sky Striker Ace – Kagari from resolving. Be cognizant of the cards that will prevent you from preventing their activation. Sky Striker Mecha – Eagle Booster and Called by the Grave are your top priorities here. If your opponent is on Pot of Desires, pivot to a grind-oriented style of gameplay. You’ll catch back up as they run out of cards. Out of the side deck, Mystical Space Typhoon shines. Destroying Sky Striker Mecha Modules – Multirole on the play or the draw is game-ending, and can be chained targeting your own Sky Striker Mobilize – Engage! in a desperate pinch. Ghost Ogre & Snow Rabbit is devastating for similar reasons. Finally, Shared Ride is as good now as it was three formats ago, so flip ‘em if you’ve got ‘em. Salamangreat will likely be your most common matchup, due to its availability, consistency, and lack-of-being-sky-striker-ility. Your win condition against Salamangreat is to resolve a Sky Striker Mobilize – Engage! that draws you an additional card. This is a resource-oriented match in which you both have access to unreal amounts of recursion, and going over the top with a +1 followed by a Sky Striker Ace – Kagari is a simple way to walk away with the win. 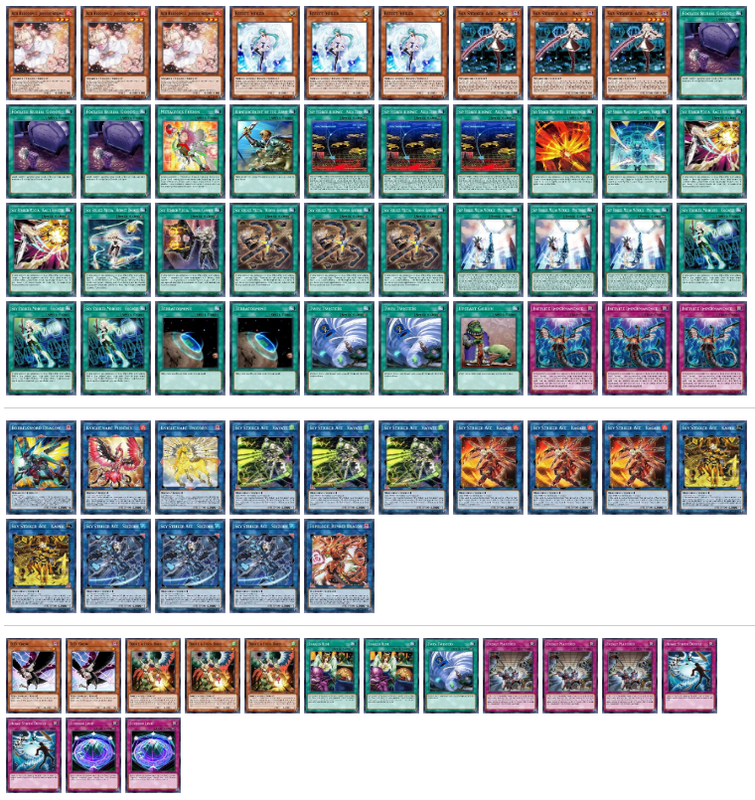 Post-board, if you’re playing two copies of Sky Striker Mecha – Shark Cannon, here’s where it will come in handy. Called by the Grave ensures you’ll be able to push through your choke point of resolving Sky Striker Ace – Kagari’s effect, with the upside that it also beats Salamangreat Spinny and Salamangreat Jack Jaguar. If you expect your opponent has an Effect Veiler in hand, link summon Sky Striker Ace – Hayate, walk into their Salamangreat Sunlight Wolf, trigger the GY effect of Sky Striker Ace – Raye, then activate her effect to resolve Sky Striker Ace – Kagari in the battle phase. Keep in mind you’re likely to find yourself face-to-face with Anti-Spell Fragrance’s ugly mug in games 2 and 3. Board into cards that remove it from the field, like Dinowrestler Pankratops, but remember you’ll need a way to bait Salamangreat Roar before showing that smug pot who’s boss. Finally, if you’re on floodgates they’ll be fine here, but not game-ending. Salamangreat’s build-in-floodgate-insurance, Salamangreat Foxy, will eat Summon Limit for days. Despite this, a one-turn Vanity’s Emptiness is often good enough to win the game. Thunder Dragon has evolved since the last time we saw it, and already wasn’t a fantastic matchup. The goal of this best-of-three is to live long enough to make it to the grind game. Just don’t die as hard as you can, for as long as you can. It’s not unwinnable by any stretch of the imagination, but this is the roughest matchup by a longshot. Keep in mind that while Thunder Dragon Colossus locks you out of tutors, you’re completely free to use Sky Striker Ace – Kagari and Sky Striker Ace – Hayate to MacGuyver a Sky Striker Mecha – Widow Anchor to your hand and pop off afterwards. Post-board, handtraps are as good as it gets. Artifact Lancea and Infinite Impermanence are fantastic, and Ghost Ogre & Snow Rabbit is good enough. If you’ve got floodgates, this is the matchup where Summon Limit shines. Orcust Knightmare, in a lot of ways, is just boneless Thunder Dragon. Thankfully, it trades recursion for the extremely powerful game-ending threat of Outer Entity Azathot. We don’t care about this card at all. There’s not much to say about this intensely coin-flippy matchup. If you’re able to go first, prioritize monster negation like Sky Striker Mecha – Widow Anchor and enjoy your free win. If you’re going second, they are susceptible to Ash Blossom & Joyous Spring at almost every part of the combo, Ghost Ogre & Snow Rabbit at Summon Sorceress, and Effect Veiler at any step involving a blue-colored card. Post-board, side into as many handtraps as you can. If you’re extremely deep in the tank and playing D.D. Crow, it’s got massive applications in stopping the Orcustrated Knightmare portion of the combo. In games two and three, your opponent will likely sit on Time Thief Redoer instead of ranking up, so make sure you’ve got a plan to deal with that threat. 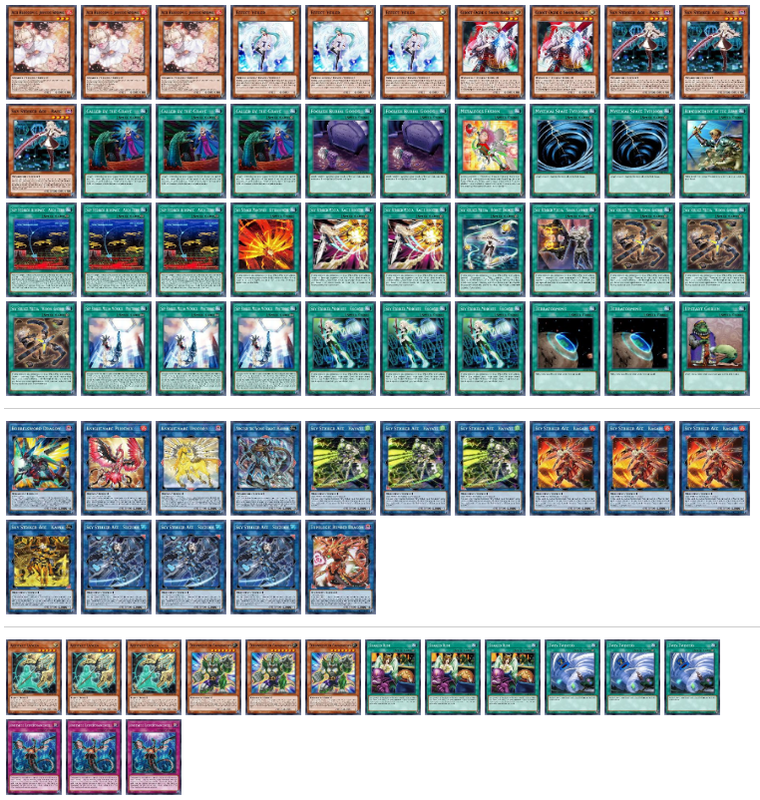 As we enter the twelfth month of continued Sky Striker dominance, it’s easy to write this deck off as an overpowered, no-skill, un-fun mistake. I wouldn’t. 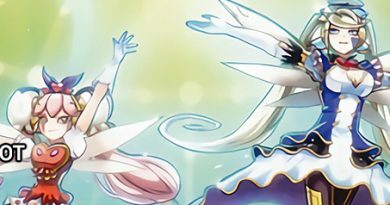 The evolution of Sky Striker builds may be slowing down, but the deck remains as interesting as ever. It is exceptionally challenging, difficult, and exhausting, but those who dedicate time to understanding the intricacies of the archetype will see an amazing return on their research. It is definitely a deck that’s only as good as you make it look. Searching cards is an important part of consistency in Yugioh. AlphaKretin goes into what makes a card searchable or not, and how it's not always the same.